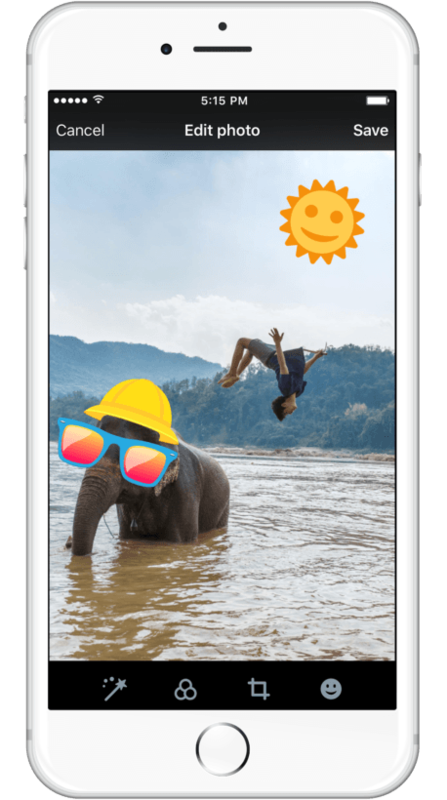 Twitter is introducing stickers for images uploaded to your feed, which are also searchable when tapped. It sounds really dumb, but read on — it’s actually pretty neat. 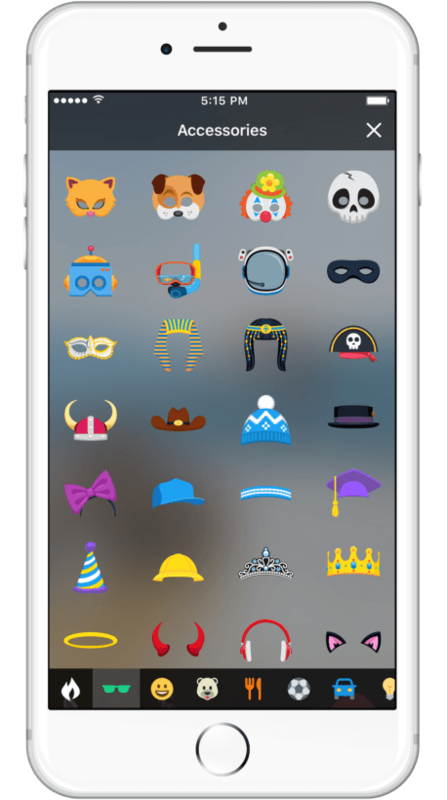 Here’s how it works: you upload an image to Twitter, then select some stickers to put on it. Once you post the image, stickers become searchable when tapped. So if you put a funny hat on your bestie, someone could tap that sticker and see a timeline of all public images that use that same sticker. It’s a riff on hashtags, just for the emoji set. 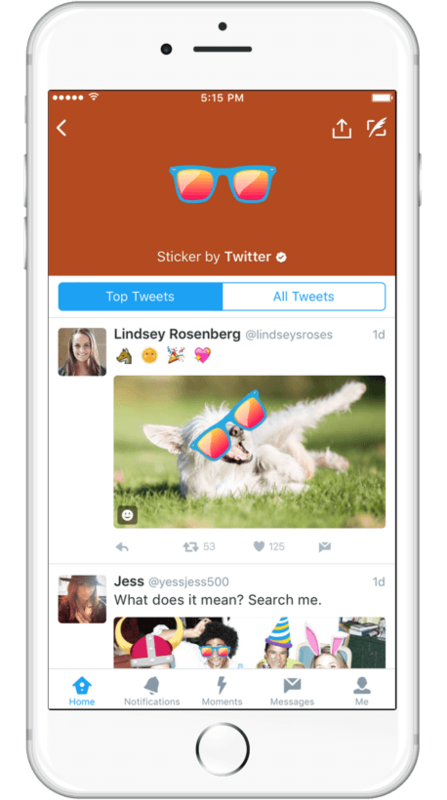 Stickers will be Twitter’s own; you won’t be able to use one from a favorite third-party app. The company says it will continually rotate what’s on offer, but isn’t offering a timetable for how often we can expect to see new stickers. Stickers are also limitless. You can place as many (or few) stickers as you like on an image, and each will remain searchable. It’s easy to see how stickers make as much (maybe more) sense than hashtags, too. As an example, what if #brexit was also an sticker? You could simply watermark your polling images with that sticker and not have to waste any of your 140-characters on a hashtag. Similarly, an event like Pride could have a dedicated sticker available during the event, making images shareable without a single line of text — but searchable forever. 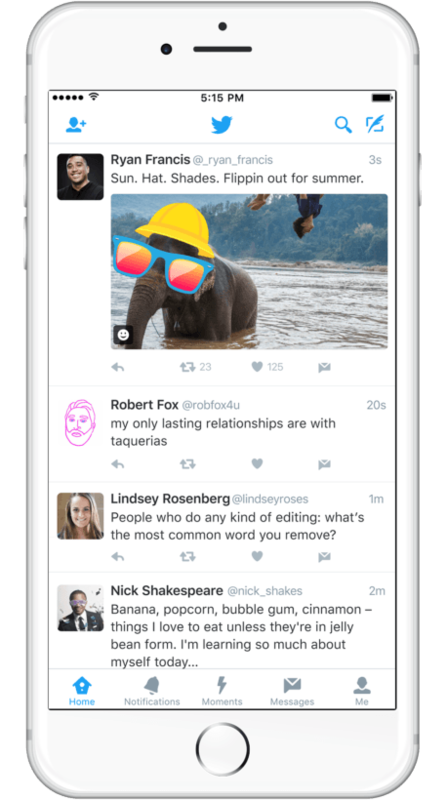 At first blush, stickers sounds like a tired idea — but Twitter has found a way to make it exciting and contextual. The feature will be rolling out to all users soon, so expect to see the app update shortly.